We can run powershell commands on remote computer using the powershell cmdlet Invoke-Command. COMPUTER - The name of the computer to connect. 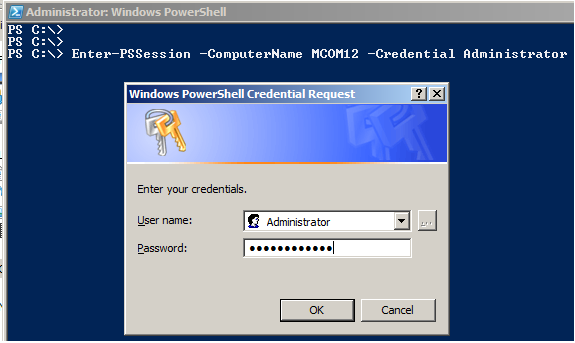 USERNAME - The user account to run the command as on the remote computer. You will be prompted to enter a password for the username. The below sample execute the command on the remote computer MCOM12, find the remote host name and display as output. The below sample command creates new session for the remote computer MCOM12.